BCF : French President Emmanuel Macron has claimed he will “lay the groundwork for the entire organisation of Islam in France” in the first half of this year. He said that he aims to fight fundamentalism and preserve the “national cohesion” of France with his ambitious programme, in an interview with the Journal du Dimanche on Sunday. 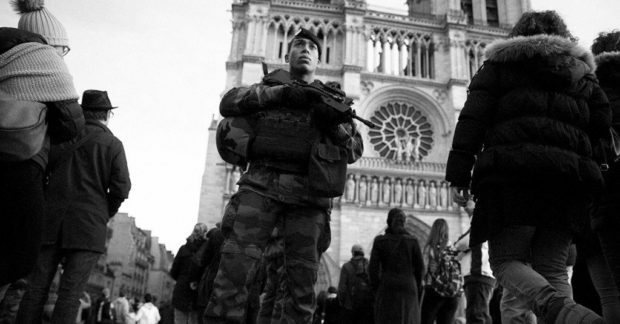 France has the largest Muslim population in Europe and has developed one of the most serious problems with Islamic terrorism on the continent, being hit by multiple deadly attacks in recent years. “We are working on the structuring of Islam in France and also on how to explain it, which is extremely important,” Mr. Macron said. Buddy your army is on full time patrol of your city streets, at least those in areas you still control but good luck with that “reorganization” thing.